Former SIT head Vikash Narain Rai's investigations led to the first breakthrough in the 2007 train blast case. In an interview to The Wire, he explained how the dots were connected. 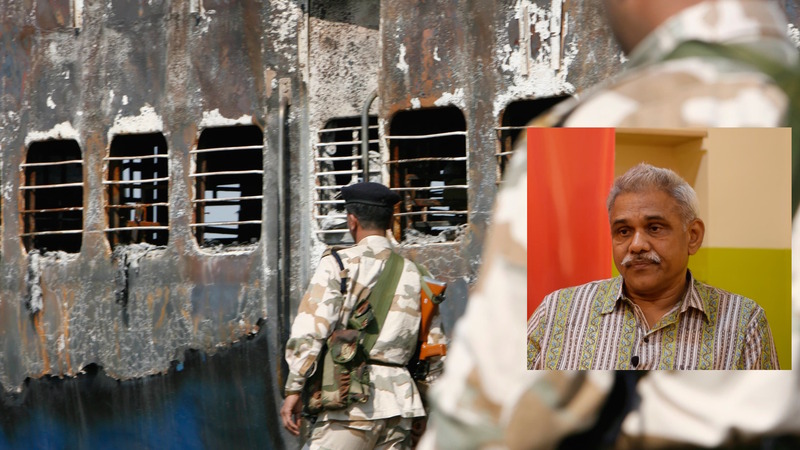 This article was originally published on June 6, 2016 and is being republished on March 21, 2019 in light of the four accused in the Samjhauta blast case being acquitted. 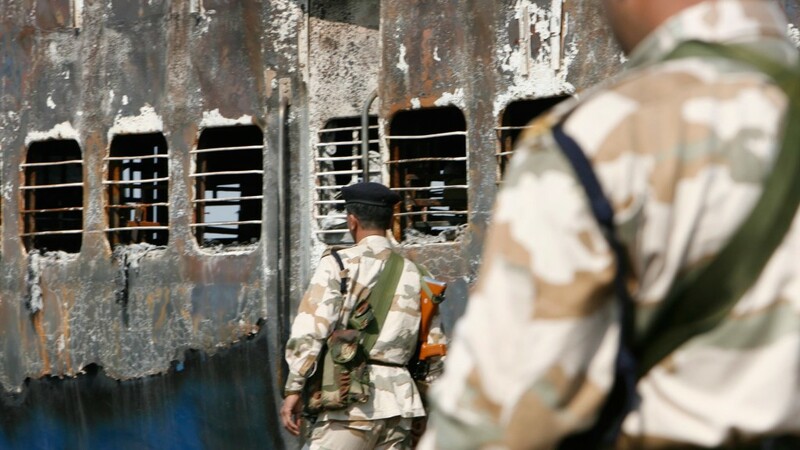 New Delhi: In a disclosure that should have made it more difficult for the Modi government to “turn around” the case, the lead investigator of the 2007 bombing of the Delhi-Lahore Samjhauta Express said there was ample evidence implicating Indore-based Hindutva extremists. The terror attack killed 68 people, mostly Pakistani citizens. Speaking candidly to The Wire, Vikash Narain Rai, a former Haryana police officer who headed the Special Investigation Team (SIT) from 2007 to early 2010, said the police recovered an unexploded bomb from the train. In the course of investigations, it was found that all the parts of that ‘incendiary device’ were purchased by people linked to the Rashtriya Swayamsevak Sangh and its associate groups. Rai said that the trail of evidence took the team to Indore, where RSS member Sunil Joshi and his two accomplices were found to be complicit in the crime. Before they could interrogate Joshi, however, he was murdered. Rai’s revelations had come at a time when senior ministers have openly attacked the idea of ‘Hindutva terror’. The National Investigation Agency had begun probing the role of the Pakistan-based Islamist terror group Lashkar-e-Tayyaba in the blasts. Last year, the former public prosecutor in the Malegaon blasts case, Rohini Salian had accused the NIA of pressuring her to ‘go soft on the Hindutva extremists.’ Some retired bureaucrats also alleged that NIA chief Sharad Kumar’s tenure was extended to divert attention from the role of Hindutva extremists in a series of explosions between 2006 to 2008. The details of the investigation narrated by Rai may embarrass the ruling Bharatiya Janata Party and its ideological parent the Rashtriya Swayamsevak Sangh, which dismiss the ‘Hindutva angle’ in the Samjhauta case as Congress party propaganda. “The explosions took place in February 2007 near Panipat in Haryana and within two or three days the SIT was constituted. Two bogies had caught fire because of the incendiary devices that were loaded on those compartments. We were very fortunate to recover one unexploded incendiary device. This device was packed in a suitcase,” said Rai, a 1977 batch Indian Police Service officer, who retired in December 2012. “When we dismantled this device, we started searching for the origin of all the items (present in the bomb). We got in touch with the manufacturers of each part of the device. We contacted the stockers. We looked for retailers. It was an all-India search. Ultimately, we reached Indore. There, we could locate the market from where the suitcase was picked up. I remember the name of the store. It was called Raghunandan Ataichi store owned by a Bora Muslim. The shop’s salesmen – one Hindu and one Muslim – conceded that two young people had come (to buy the suitcase). These two people were speaking the Indori dialect of Hindi. (After thorough investigation), they confided in us and told us they were pretty sure that the two people were Hindus and not Muslims,” said Rai. He said that though the version of the salesmen was considered as an initial breakthrough, the SIT did not see it as conclusive evidence. “After they assisted us in making sketches, we started to look for these people. But the major development in the case came when we found that each and every item of the bomb was bought from the Indore, and within a one kilometre radius of the suitcase store. It was established that the whole bomb was assembled there,” said Rai. Rai goes on to say that the SIT’s first suspects were Pakistan-based terror groups or organisations like the Students’s Islamic Movement of India (SIMI) but as the investigations progrssesed, it became clear they were not involved. “We investigated many Islamists in jail that time, including SIMI’s head Safdar Nagori. We were pretty convinced after that it was a Hindu outfit (who carried out the blasts). Indore was not only notorious for SIMI but also for Hindutva activists,” Rai pointed out. He alleged that once the SIT started investigating the ‘Hindutva angle’ after the initial breakthroughs, it ‘did not get much co-operation from the local [Madhya Pradesh] police.’ He said: “Privately, a few state police officers told us that we were on the right course but officially we did not get much help,” alleged Rai. “Soon, we knew about the existence of a Hindutva group headed by Sunil Joshi… he was an RSS member. But by the time we started looking into this aspect, this guy was murdered in 2007, towards the end of that year. The local police caught somebody but finally they had to leave him (for lack of evidence). We were investigating the role of Sunil Joshi and two of his accomplices – Kalsangre and Angre. I do not remember their exact names. These two are missing even now. Even the NIA has not been able to catch them,” said Rai. Rai added that it was in these joint meetings that he found that the Mecca Masjid blasts (2007), the Ajmer Sharif explosions (2007), the Malegaon blasts (2006), and the Samjhauta Express bombing had a similar pattern. “Exactly the same devices, the same modus operandi were used… We prepared a list of fellows active in Hindutva activity. They were people who were indoctrinated (into the ideology),” said Rai. “Our next breakthrough came in 2008 when the second blast happened in Malegaon. My information was that Hemant Karkare, Maharashtra’s anti-terrorism squad chief, had picked up some very vital clues. I had a chat with him in October, 2008. He told me that through the motorcycle that belonged to Pragya Singh Thakur, he could reach other people like Colonel Purohit and Aseemanand in the Hindutva network. He had said that he would come back to me after he had pieced together all the evidence in 15-20 days but that was not to happen as he was killed in the Mumbai attack” of November 26, 2008, Rai told The Wire. Recently, Rai had alleged that a news channel, NewsX, refused to broadcast the interview he had given to the channel on the Samjhauta bombing. He has also accused the channel of misrepresenting his version of the investigation to incorrectly draw a SIMI angle in the case. Rai has served in many important posts in the government, including as director of the National Police Academy, Hyderabad, from where he retired three years ago.